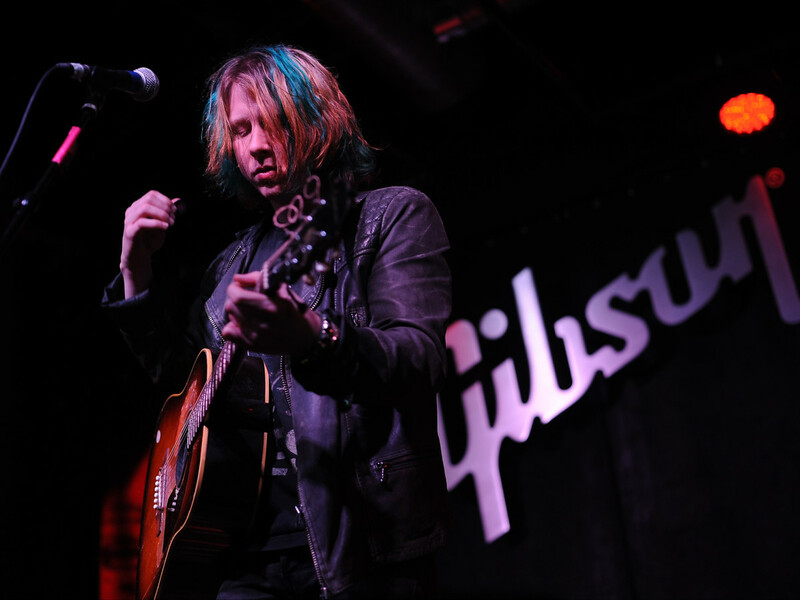 Passionate, energized, spirited, fervent — pick an adjective, and it was present in its purest, most distilled form on Saturday, January 18, when local music nonprofit Black Fret hosted its 2014 kickoff and member drive at Gibson Guitar Showroom. Black Fret bills itself and its members as “patrons of local music,” and its aim is simple: raise $1,500 per individual member; nominate local artists worthy of patronage; give members access to exclusive, intimate performances from those artists; and then award $10,000 grants to those deemed most worthy of support. Now, Saturday’s VIP gala felt far from intimate. But the bright neon lights of Gibson’s Guitar Showroom provided a celebratory backdrop to the hard work of Black Fret founders Matt Ott and Colin Kendrick. The two have strong ties to the Austin music community going back decades, and they founded Austin Music Foundation 12 years ago. But their desire to “get money directly in artists’ hands so they can create their art for a long time,” as Ott told CultureMap Austin Saturday night, really came to fruition in 2012. That fact was on prominent display throughout the evening. In between passionate speeches by Ott and Kendrick, along with personal appeals from corporate sponsor Kurt Wheeler of Dell and acclaimed alternative-rock producer Tim Palmer, four artists graced the stage with precisely the kind of invigorating performances to which Black Fret aspires. The first surprise guest of the night, rootsy singer/songwriter Graham Wilkinson, laid down some smooth, brooding tunes that highlighted his effortless mix of folk, blues, reggae and pop. Next up, local firecracker Emily Bell and her five-piece backing band, including longtime collaborator and love interest John Evans, made the showroom truly rock, kicking out uptempo, swaggering jams sprinkled with Americana flavor and a heavy helping of irresistibly kinetic stage energy. Saturday night, four artists graced the stage with precisely the kind of invigorating performances to which Black Fret aspires. The extended break after Bell and company’s hard-driving set allowed the crowd to get truly loose thanks to libations from Tito’s, Shiner Beer, Colorado Gold Distillery, Topo Chico and more. By 8:30, however, the buzz in the air for the evening’s second surprise guest was palpable. With a circle forming around the room’s grand piano, the crowd cheered when The Voice semifinalist and beloved local belter Nakia broke into “Private Party” as his opening song before exhorting everyone in attendance to follow their dreams at all costs. But even Nakia’s star power gave way to the heart-swelling verve of Ben Kweller’s impassioned set. The local troubadour drew the most adoring crowd of the evening, firing through classics like “Wasted & Ready” while vehemently strumming his well-worn Epiphone acoustic guitar within an inch of its poor life. 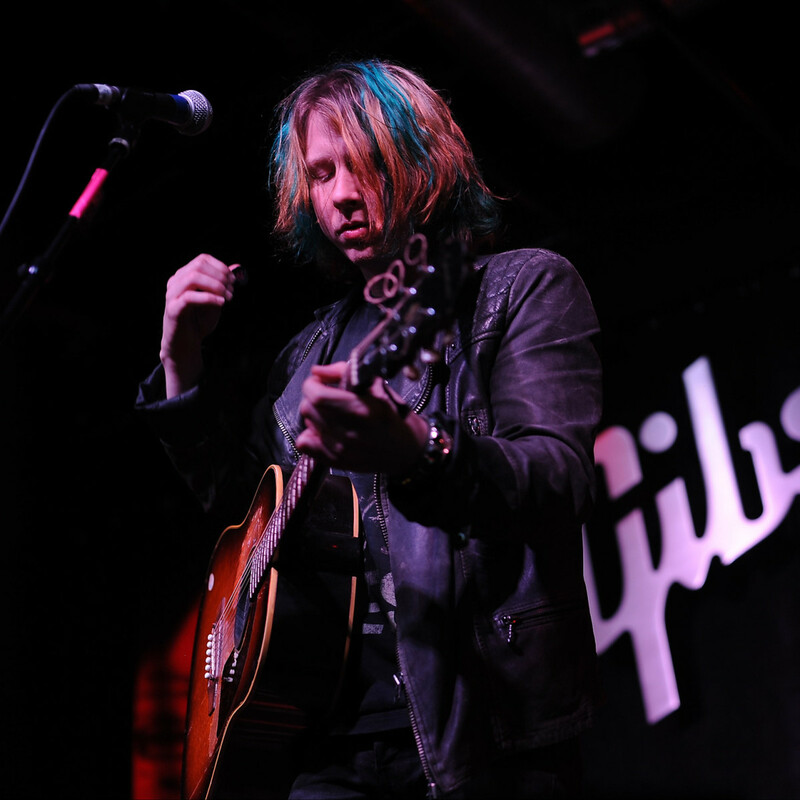 Kweller dedicated his opening number, “Commerce, TX,” to Wilkinson, who beamed with pride. But it was that song’s chorus about how “It’s gonna take a lot of time/Before I can cross that finish line” that seemed to resonate with the evening’s vibe. Of course, Black Fret’s stated finish line of increasing membership from approximately 75 members to more than 100 in one evening was within sight by the event’s end around 10 pm — meaning the organization’s 2014 goal of awarding 10 $10,000 grants by the end of the year is equally attainable. Ott expects the first pool of grant nominees to be announced by March, with a seven-month listening period to follow before the recipients are announced in November. Even Nakia’s star power gave way to the heart-swelling verve of Ben Kweller’s impassioned set. Ott also made note of the strong business relationships that will also be an inherent part of Black Fret’s process. From nomination to dispersal of funds to one-year mentorships after the grant year, local producers, studio owners and managers will have a say in artists’ successes, adding an element that goes above and beyond the involvement of artists and fans. As Kendrick and Ott both said at various points during the night, Black Fret is about elevating local music to its deserved status as the ultimate bridge between having fun, supporting the arts and building community — something that’s more unique to Austin than nearly anywhere else.